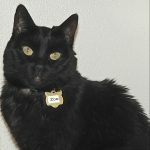 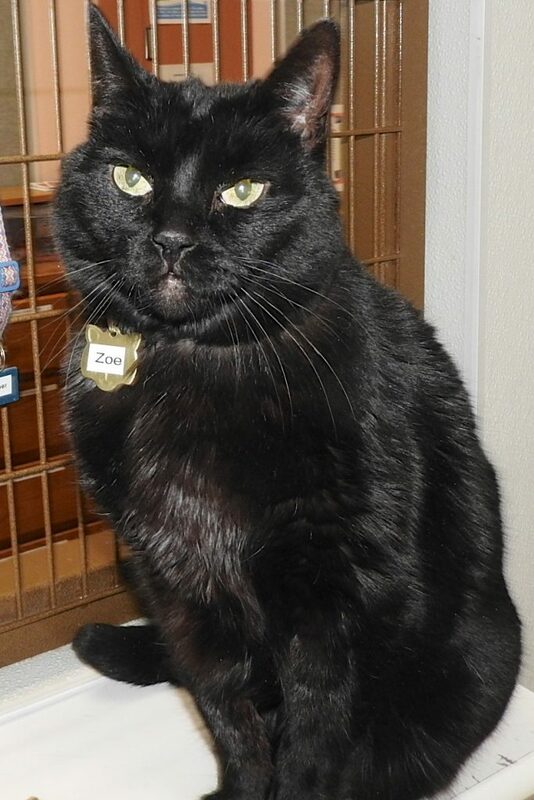 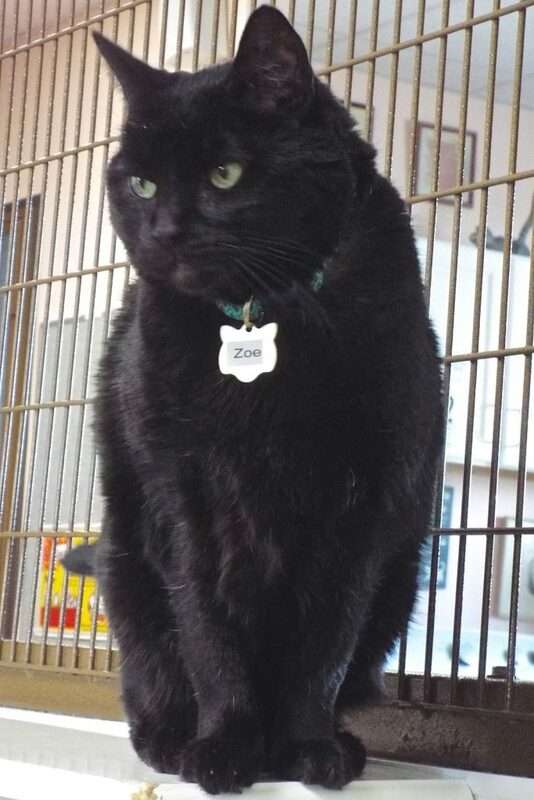 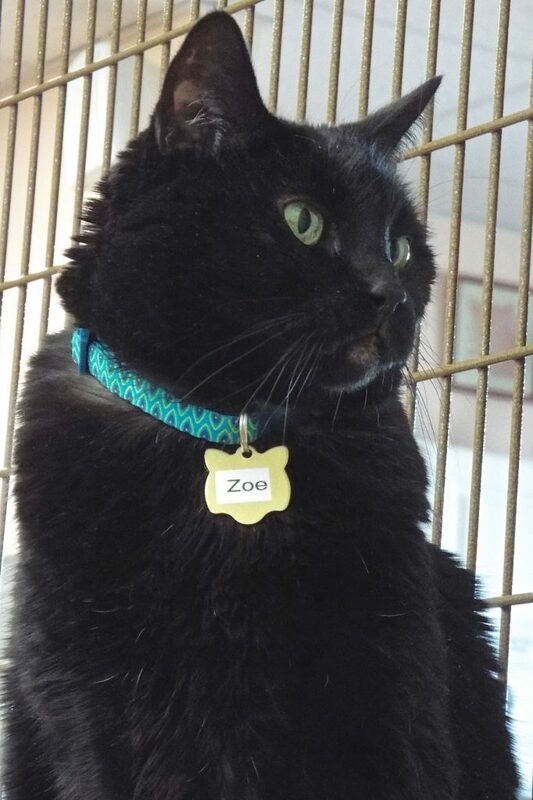 Mom said, “Zoe is a lap cat, a lover, and emotionally connects. 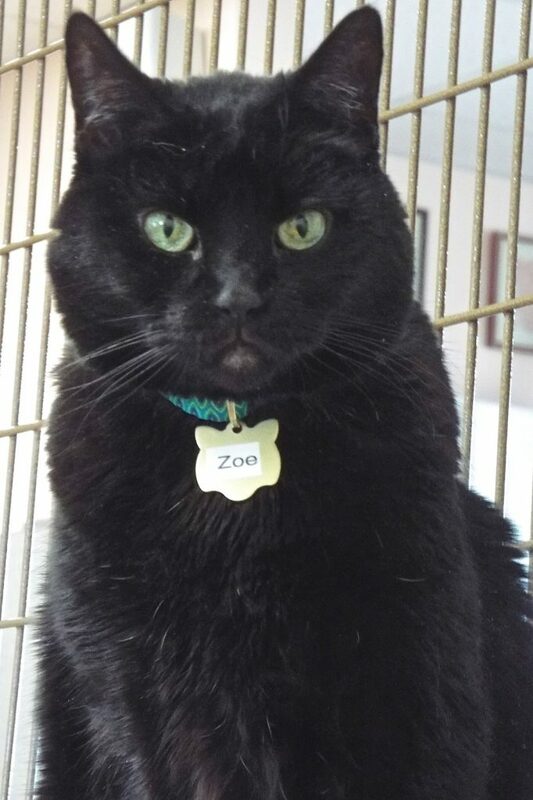 She’ll come in response to a loud, sustained whistle, is still playful, makes ‘biscuits’ in your lap, and knows how to ‘shake’ (just say ‘Zoe, shake-shake’ and hold your open hand toward her paws). 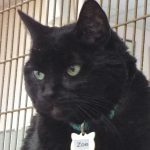 She stayed calm and ‘chill’ even when the dogs rushed her.” I was raised with three kids (two were toddlers and not always the most gentle of creatures! 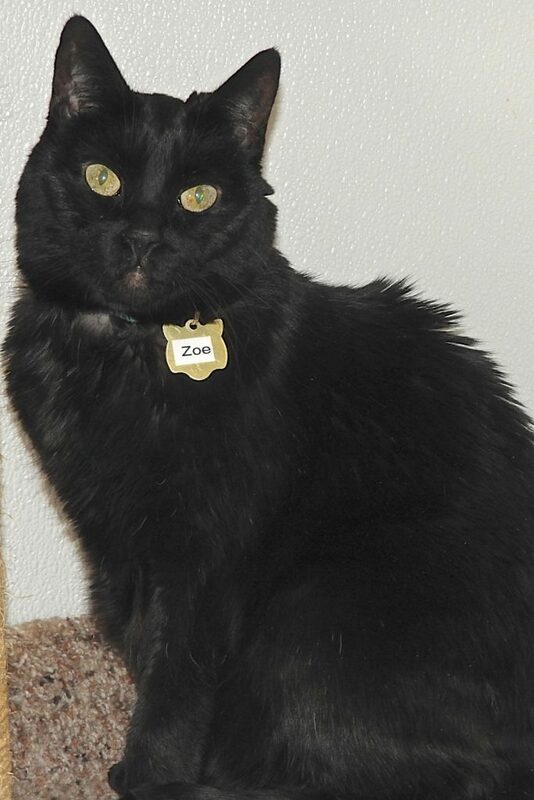 ), cats, and two dogs, and until a new cat was introduced into the house, was perfection personified. 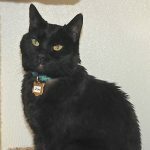 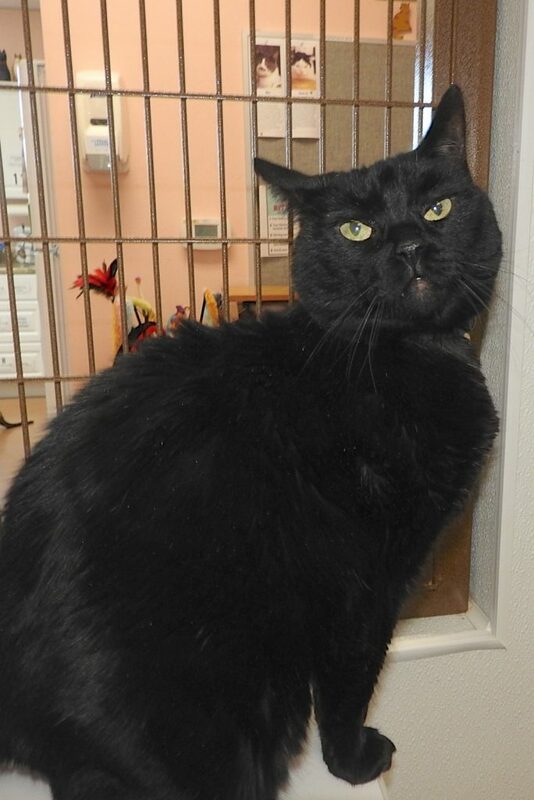 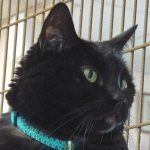 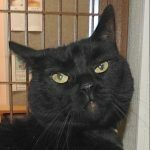 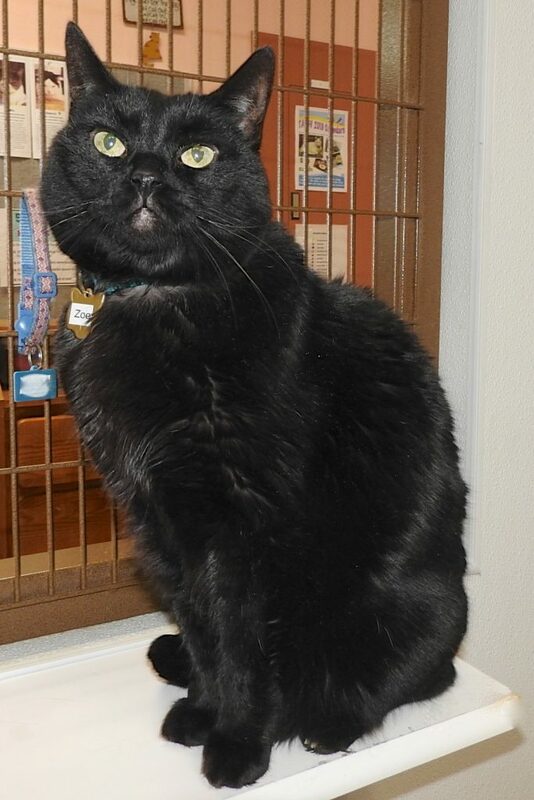 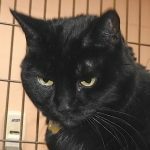 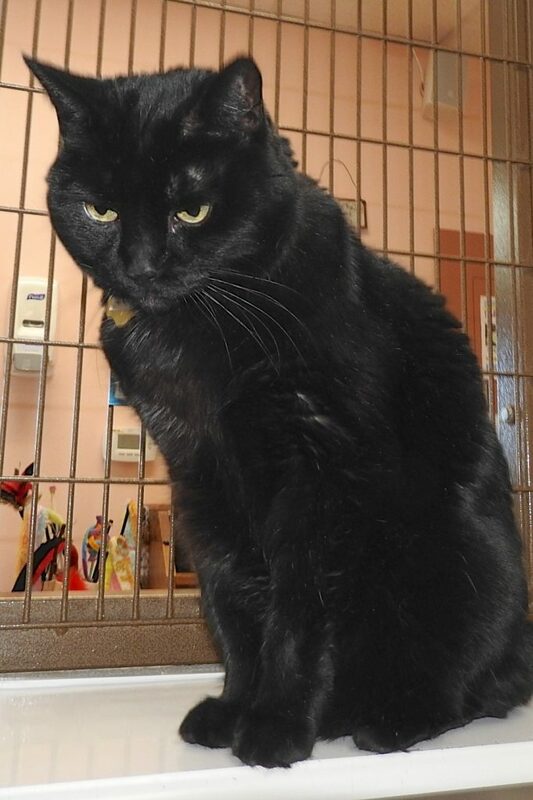 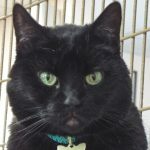 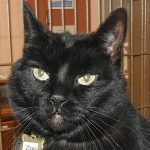 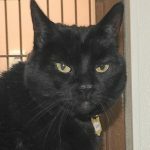 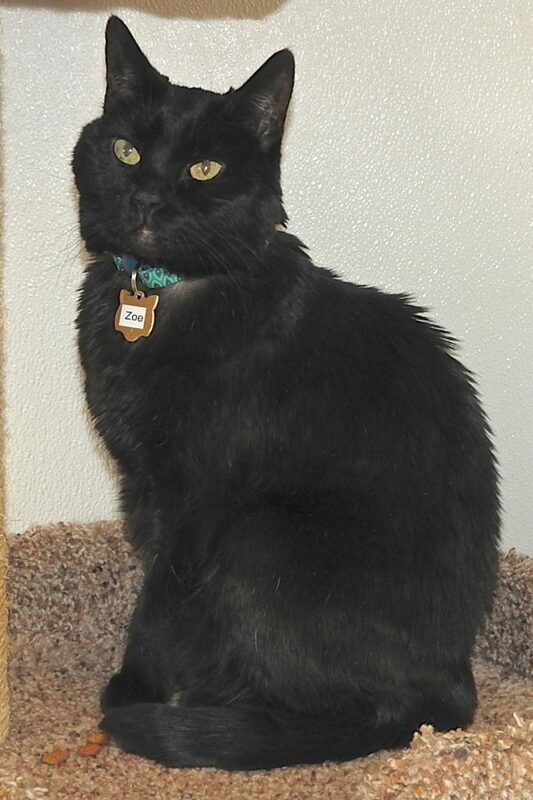 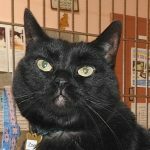 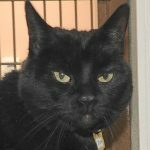 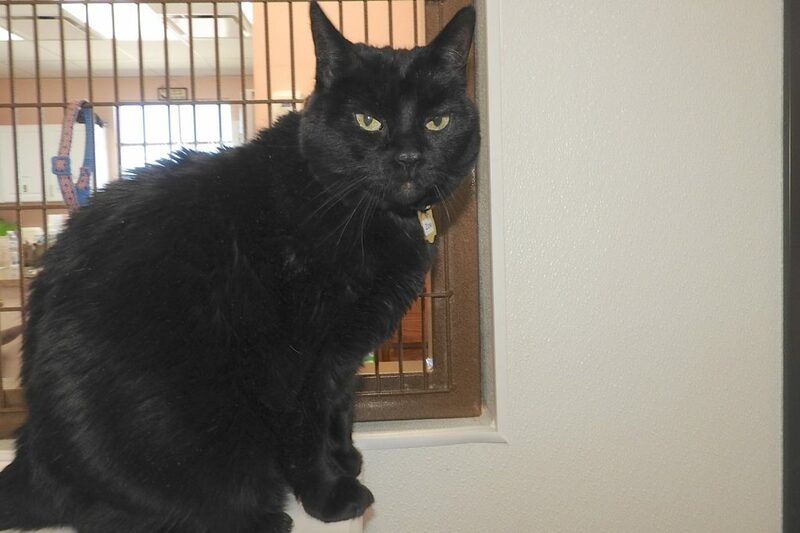 I hope that given my sterling background, you’ll find it in your heart to give this 13-year-old (with free vet care for life) a new lease on life!